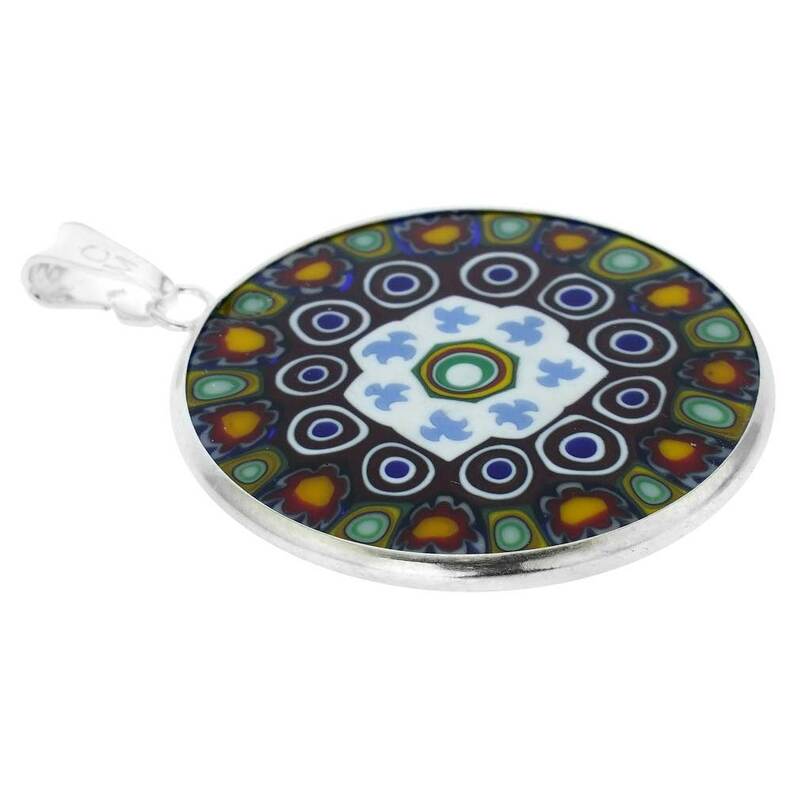 This gorgeous Venetian glass pendant is a fine example of the most popular and unique Murano glass technique- Millefiori (a thousand flowers)- that has become a trademark of Murano glassmaking. A dazzling array of beautiful flowers appears on this millefiori pendant and creates a festive yet classic and recognizable look. The longer you gaze at it, the more enchanted you feel. This timeless piece of jewelry is exquisite and versatile and will look great suspended from a silver chain. 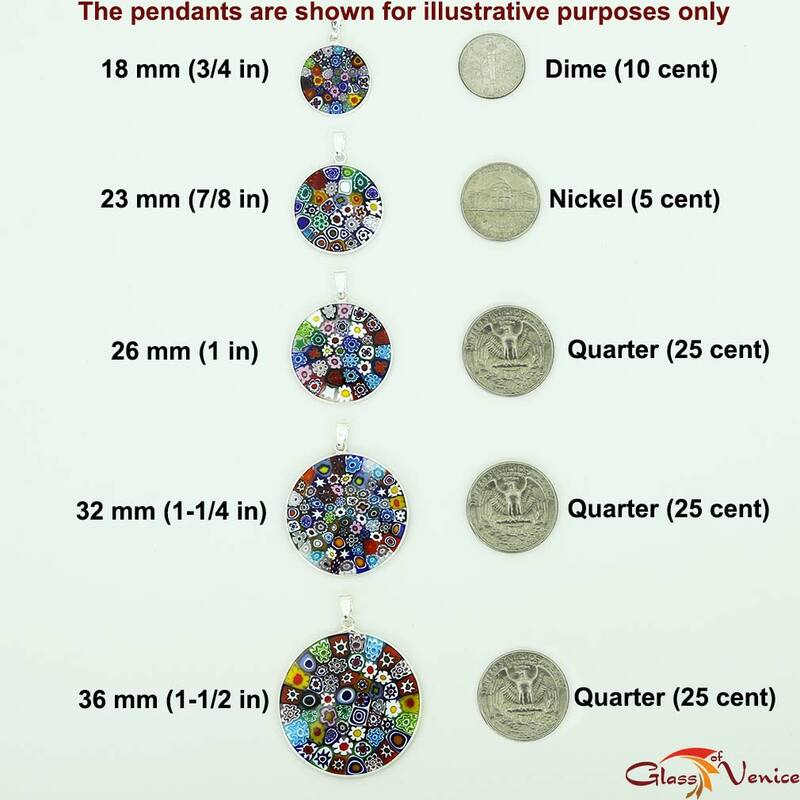 The pendant measures 1 inch in diameter and is set in .925 sterling silver frame. It comes with an attractive velvet pouch and a certificate of authenticity. 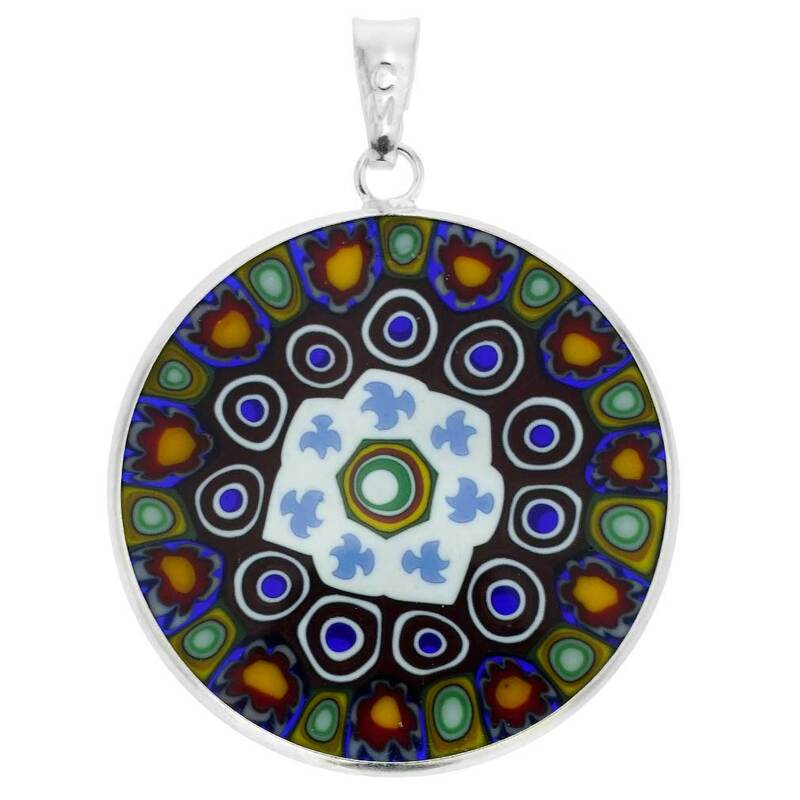 Note: This Millefiori pendant is crafted using a complex glass-making technique based on creating intricate designs from multiple tiny glass beads entirely by hand. For this reason there may be very minor variations in the pattern and colors, but the overall look will always be consistent with the product photos. Great quality product, I absolutely love it! Arrived quite quickly and very safely packaged. Will definitely buy from again.